Almería Bay, located just south of Granada, is an often-overlooked port. However, it’s a beautiful place to spend a day off a cruise ship, and it has a lot more to offer than stunning coastlines. Windstar Cruises shares a few of their picks for what to do with a day spent in Almería. History buffs will find delight in a tour to the Morrish Alcazaba Fortress. 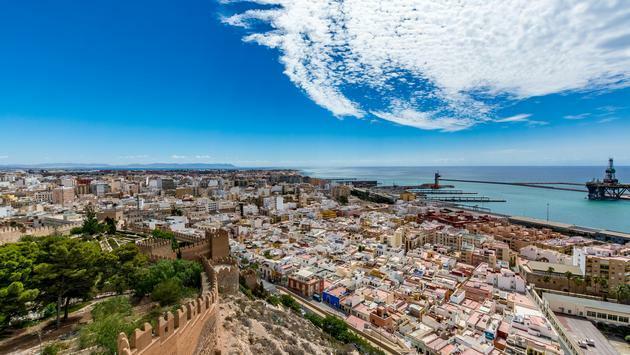 Almería was once known for its silk industry, along with olive oil, ceramics and gold coins. In addition to learning a bit about the history of the area, visitors will enjoy panoramic views of the city. Calle de las Tiendas means street of stores, and that’s exactly what this spot is. Discover the winding side streets lined with fun shops and even a church. If this isn’t enough, Nijar is filled with craft shops and is only about a 45-minute drive. There is no question this is a place for tapas lovers. Some restaurants will offer free tapas with the purchase of a beer or wine. If tapas aren’t a crowd favorite, a scenic coast drive to Garrucha Town will land visitors with some of the best seafood around. Check out Windstar’s blog to learn what else to do during a day in Almería. Windstar Cruises offers luxury cruising at 270 ports around the world. The six-ship fleet of small sailing and all-suite ships throughout Europe, the Caribbean, Tahiti, Costa Rica and the Panama Canal, Asia, Alaska, Canada and New England.